My heart broke a little bit yesterday. Firstly, whoever coined the phrase ‘sleep like a baby’ needs a good kick in the shins. 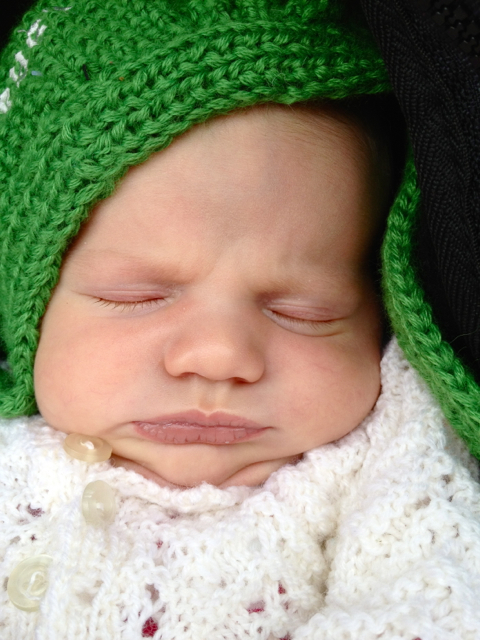 For the uninitiated, babies sound like pygmy hippos when they sleep. They grunt, they groan, they snuffle, they fart, they shart and they sigh. Sleeping right next to that is reminiscent of a night camping in the wilds of Africa. I’m a very light sleeper, but even with earplugs I could hear KiKi’s eyelashes fluttering. With both my precious babies I had dreams of rooming in for 6 months of cuddles and getting to know each other. It didn’t happen with D Man, in fact after three short weeks I was forced to stretch our imaginary umbilical cord to another room, and yesterday, after a shocking night before, four week old KiKi and my rooming came to an end. I can feel our umbilical cord pulling at my core but I know in just a few days we’ll be used to it. I got even less sleep last night as my ears were awake all night straining to ensure I wouldn’t miss her if she needed me. Alas, our house is not actually that big so we were fine! D Man and I recently went to a monster playgroup over in North Sydney that was run by the Early Childhood Dept of the TAFE. It rocked. It was seriously playgroup on steroids. There were so many stations set up, many with an Early Childhood Development students sitting there ready to interact with the kidlets and potentially realise that they were seriously insane to covet a career in childcare and have a lifetime of childhood illnesses and other people’s children’s poo. D Man was practically speed dating in his haste to try all of the available activities in our time there…..and there were so many, it was hard do them all. 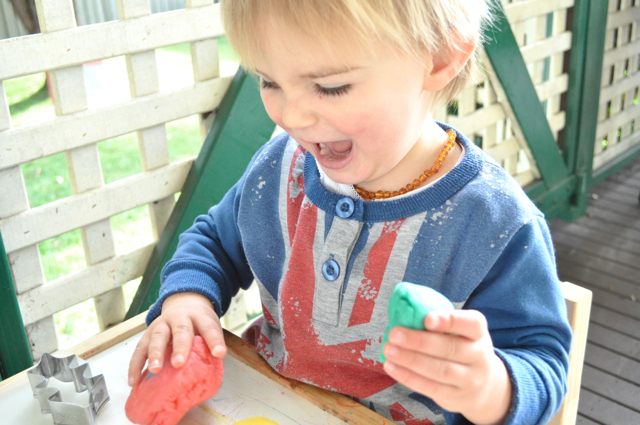 He totally loved the play dough table. 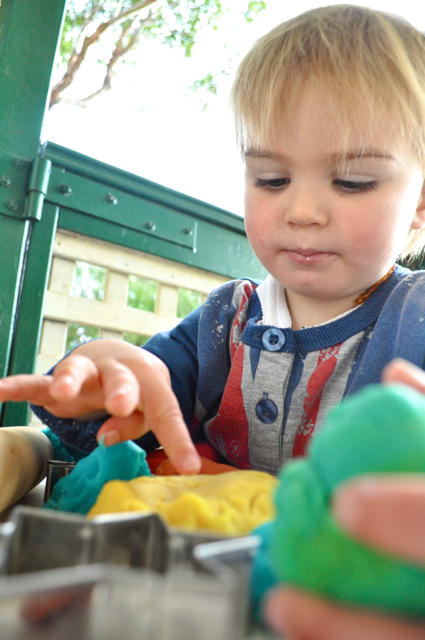 He sat there for the longest time, happily squishing, rolling and cutting the play dough. I loved watching him discovering the textures and the shapes. He also started flirting with the student monitor girl and soon she was putty in his hand, if you’ll excuse the pun. 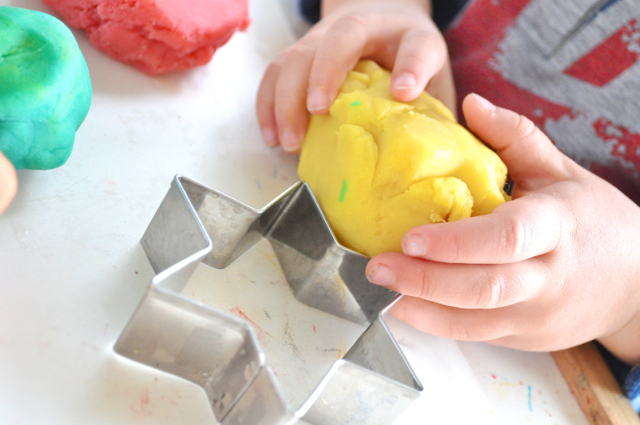 Naturally, I sat down with him and got into the moulding of the dough and realised how incredibly therapeutic it was to repeatedly squish the dough in my hands. This is a win:win activity. Quiet toddler, Mama stress relief. Perfect for rainy days. perfect for any day for that matter. It’s easy to make, incredibly economical and your kid will think you’re really cool when you hand over the colourful, doughy balls of joy. I make half portions of this recipe to get two colours out of one batch. It’s still a good handful of each. Split the ingredients over two bowls and stir, combining well. Place one of the bowls into a saucepan over a medium heat and add your colouring, stirring well. 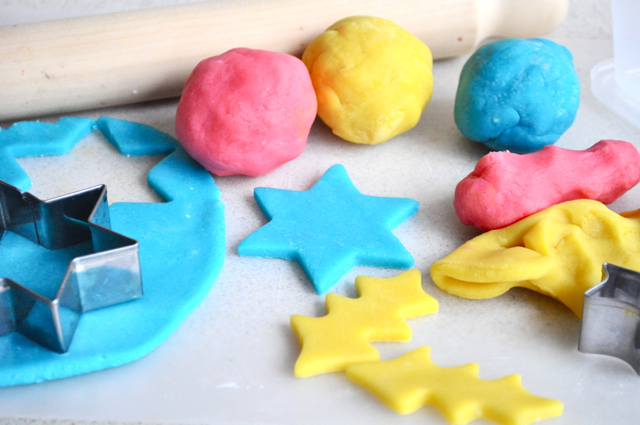 A chemical reaction happens all of a sudden and your gloopy mess will become quite sticky, then clumpy, and then ball up into your Play Dough. Repeat with remaining mixture and a different colour. There you have it. Instant Fun + Destressed Mum. Hi, Im interested to know where the playgroup is located in North Sydney? Can anyone attend? It sounds like a great place. It’s at Nth Sydney tafe on West st. Anyone can go and I think it’s a couple of mornings a week- we went Friday. It’s about $8 and you must register at the front office first. Give them a call for times. It really was super cool! You just gotta be a bit relaxed about these things these days, huh?! What a good sport you are for eating it…. Or perhaps you’re a secret salty dough fiend!